Today I'm gonna show you a shorter video where I make two slightly different houses! As you might have noticed in plenty of my videos, I copy & paste a lot of stuff that I made previously. Sometimes I alter the colors a bit, sometimes the shape, and sometimes I leave things pretty much as they were. When it comes to houses, in this instance, I move whatever parts I can use around (and sometimes swap colors) and then fill in whatever's missing once I'm done. I could have painted each and every house, but the amount of time saved from reusing walls and rock textures is pretty huge! And most people wouldn't really notice anyway (and if they did, most wouldn't care). Anyway, this video is but one example of how a single house and two different wall textures can become two new houses with a bunch of copy, paste and minor editing! Enjoy! 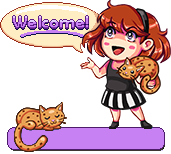 One of the things that have been requested very frequently is the ability to trade and/or drop items so your friends can pick them up! So far we haven't had that function in SoG, but from soon on, you'll be able to drop items on the ground in Story Mode (not in Arcade, as it'd be a bit OP in multiplayer runs). Therefore, a "Drop Item"-icon had to be made! Another thing I was playing around with was making an Arcade Mode version of the Hydra Boss battle room, since the layout the room has in Story Mode makes no sense when you're playing Arcade. For one, the corridor leading into the room is quite unnecessary, and the additional doors (and stairs) will lead nowhere, so they really serve no purpose either. 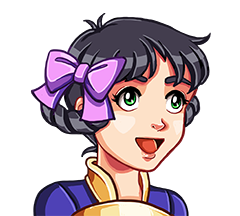 While on the subject of Arcade Mode, we thought it would be fun the have the occasional room that works like the battle room in the Temple of Seasons "obstacle course"-room - that is, a room that is every season at once, buffing all enemies at the same time! Lastly, I've been improving certain small details in the lower parts of the "Time Travel Town", adding small things here and there. 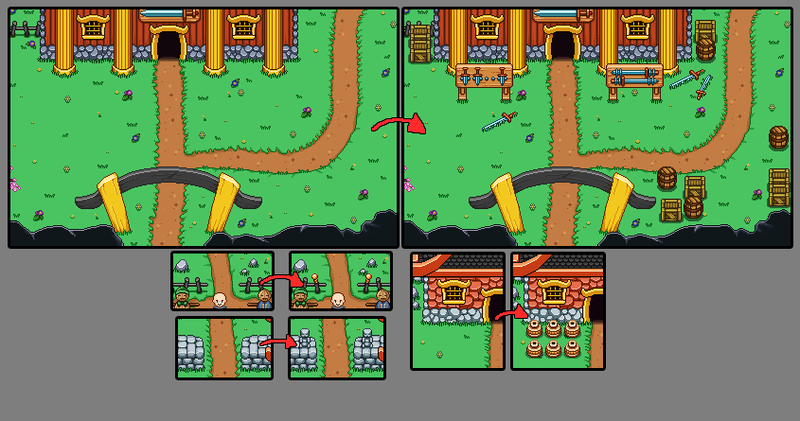 My main focus when making these touch-ups was to make the barracks feel more like barracks, rather than a big house with a sword stuck on it, so we added a bunch of weapons and crates lying around it! 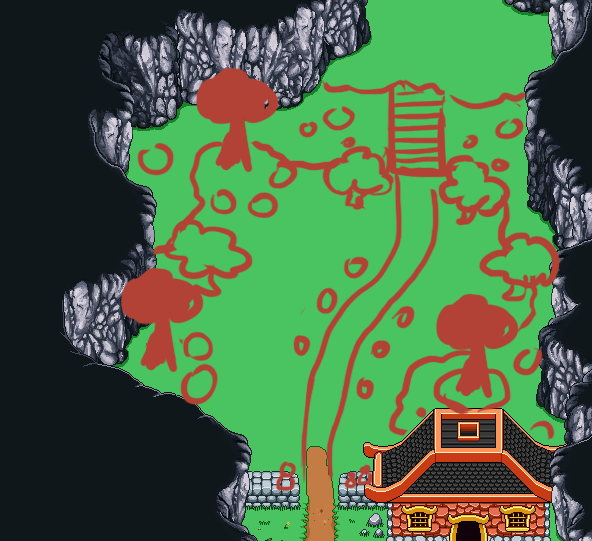 The next part of this area is a little garden, which won't really be that interesting in the Past, but will serve as a place for enemies to roam in the Present (where most of the garden will be demolished, so don't worry about enemies hiding behind trees, etc). I'll keep on making portraits for a little while, so here's another one! 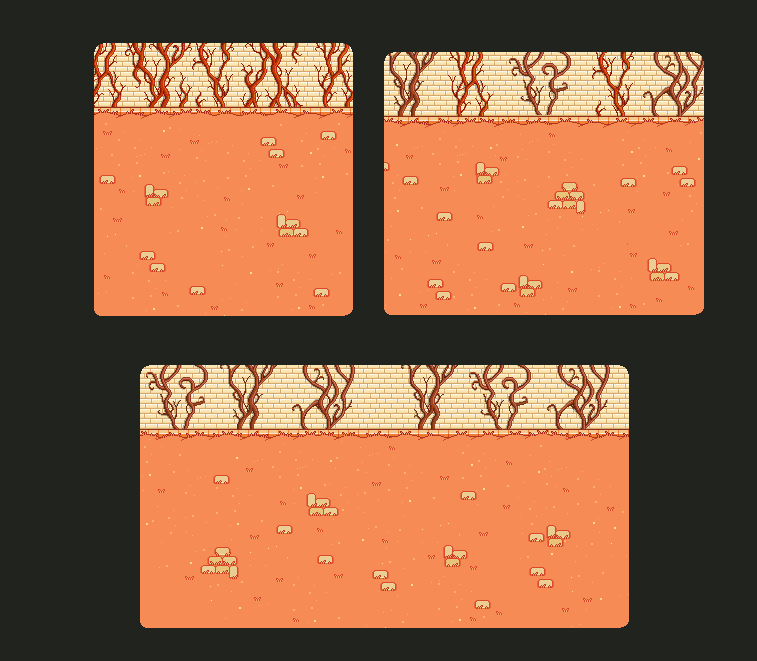 Alternating pixel art and painting is a nice way to alternate work and keeps me from getting bored. 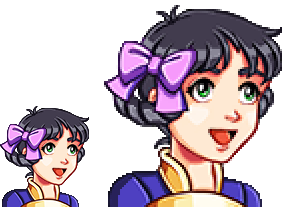 So I'll probably swap back and forth between these as we keep on working with the Time Travel Town-thingy! 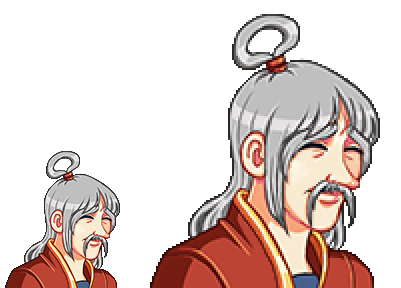 ...Aaand the finished sprite, regular and 2x versions! I mentioned it yesterday, and today it's happening! Some slightly different videos, and a bunch of step-by-step pictures, as well. 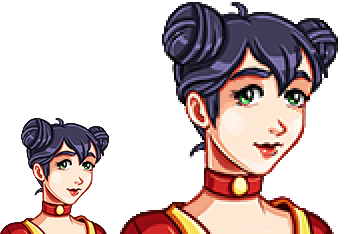 As you may or may not have guessed, the new subject is portraits. 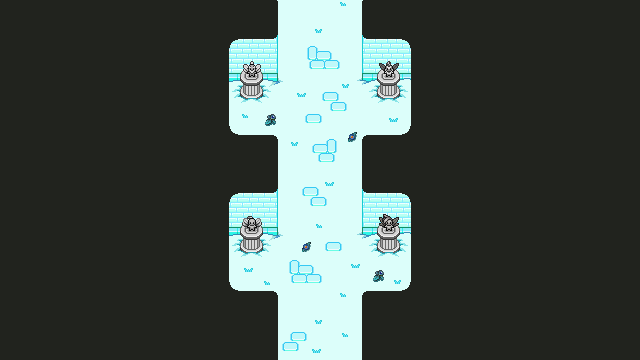 As this dungeon is really a town in which you travel back and forth in time, there will be a bigger focus on characters and actual questing rather than getting through a temple from point A to point B (though there will be quite a lot of that as well). 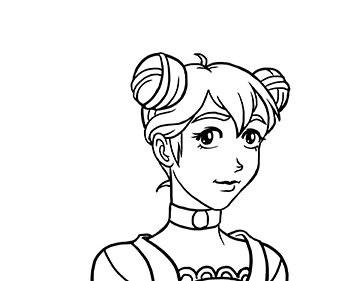 And as you know, when there's characters, there's portraits! The work on that "Time Travel Town" continues this week! In this video, I'm working on the east parts of the map, adding another (smaller) house, some training dummies, a stonewall and a whole lot of grass! 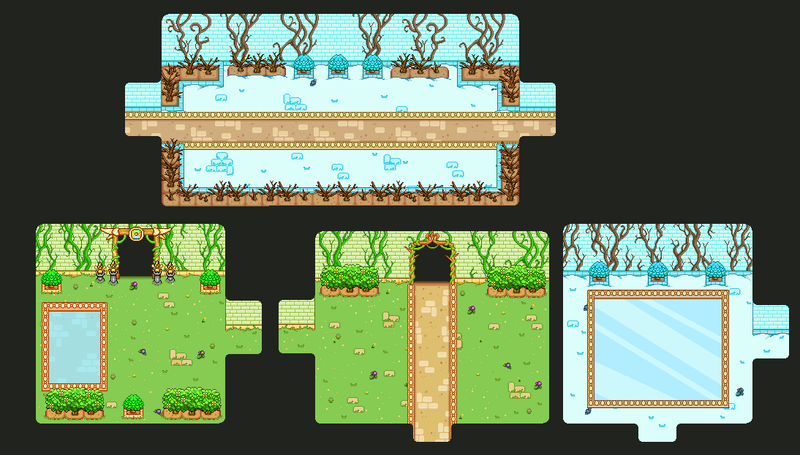 Time to start working on the first Zone for real! We'll begin by with adding the exterior of the first house you'll see - the barracks. 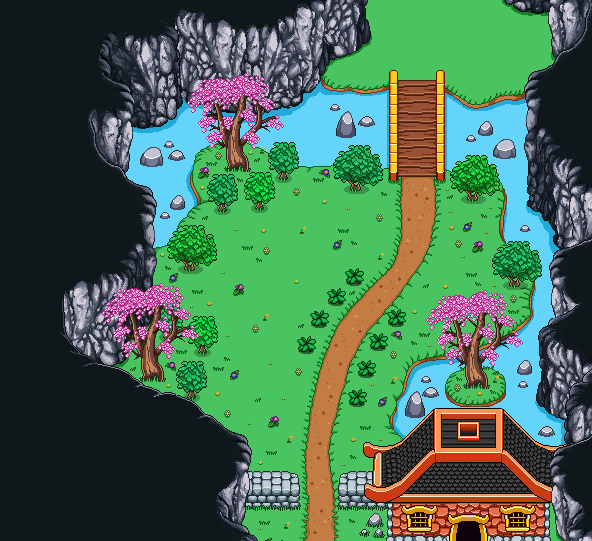 This is a place where soldiers living in the cave live, and will serve a purpose in your questing through this area. Instead of posting WIP pictures, I thought I'd upload a video of this process as well. I don't know if you prefer videos to the step-by-step images I used to post before, but as I mentioned in yesterday's post it's definitely easier to remember. ..Yes, we really need a better name for this place than "Time Travel Town"... Anyways. The last few days I've been playing around with various screen capture software, in hopes of being able to make more videos and GIFs for this blog. I am basically the worst at remembering to take screens of my progress, and before I know it I've been at a piece for an hour or two and there's no way to bring back what the early steps looked like. So, I thought this would be better and easier for me to deal with. This is my first test at this, and features the incredibly mundane task of adding walls to the first zone of the Time Travel Town, sped up like crazy! 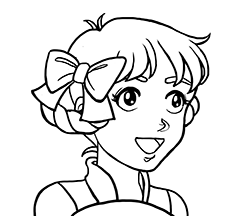 I realize the quality isn't amazing, but I guess for such a boring task at this it doesn't really need to be super HD! Hopefully I'll get used to the bazillions of settings and figure something out for the more detailed stuff later on (I used Open Broadcaster Software and *cough* Movie Maker when making this btw). So, we've spent dome time coming up with and discussing a variety of hurdles and quests/puzzles for you to solve on your way through this dungeon, most involving time travelling in some ways! 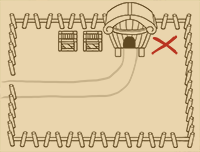 Since this dungeon really will be a village of some sort, we decided to divide the area into several zones, rather than rooms as we've done with the previous temples. The first zone won't be super big, and will serve to introduce you to the time travelling mechanic as a whole. The obstacles here will be pretty straight forward as you get used to the idea and implications of jumping through time! As we've mentioned before, the past version will be full of life: there will be people living and working here, dealing with everyday life stuff. In the present, however, the houses will be in ruins, and the only living things you'll meet here are the enemies you battle (which haven't been decided yet, but we're thinking about it - monkeys have been mentioned). 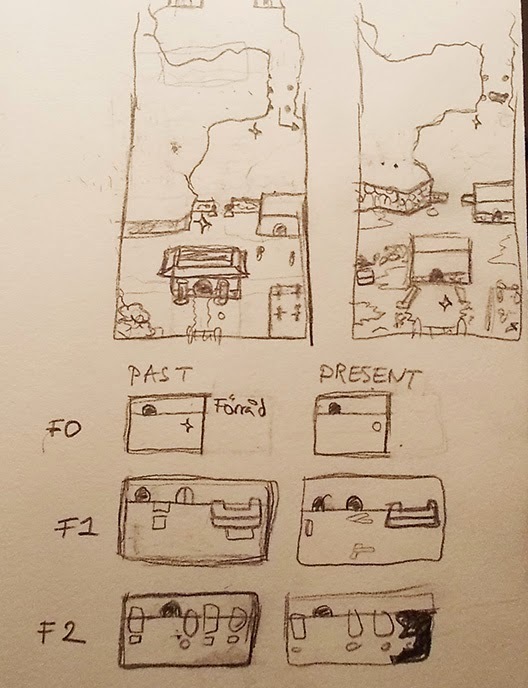 Below you can see my sketch version of both the past and present version of this first zone. We've tried running around on them in the game, and so far we're quite happy with the layout and distances. 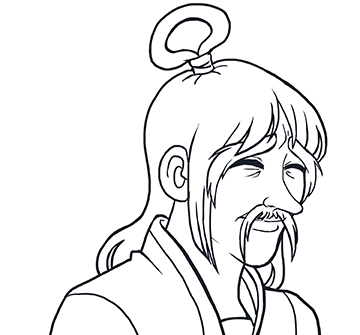 However, these things are always subject to change, so we'll see what it looks like in the end! Since the last Time Travel Village-post I've been playing around with making a few houses and some decorative props! We also discussed exactly what we wanted the area to look like, and decided that we wanted it to feel like a mix of the outdoors, while still being inside a cave. So, to mix the two together, we're opening up holes in the cave, where the outside can be seen (much like it works in the Flying Fortress part of the game), and the ground will be covered in grass - at least in the past version. The mountains walls are more gray than the purple/blue color they were in Mount Bloom, and I've made them a bit lighter, but other than that it's the same walls. We wanted this color difference to emphasize that you're entering a new place, rather than it just being another portion of the Mt:Bloom area. Hopefully, the grass and holes in the walls will increase that feeling as well! Their ice attacks keep overlapping things where they shouldn't! In order to fix this, we need to let the game know where these ice effects (as well as shadows and other effects on the ground) are allowed to appear. 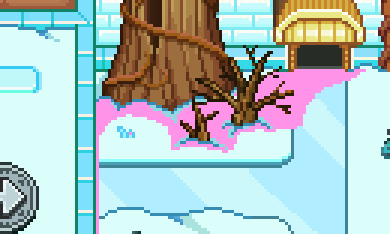 This is just one of the rooms, but the same thing has to be done in at least every room that potentially spawn winter enemies, as their ice effects are an extreme eyesore without it! Ideally, every single room and area would have masks like these to avoid shadows bleeding over unto things where they shouldn't, but usually they aren't as annoying as these ice effects so we'd rather save the manpower for now! 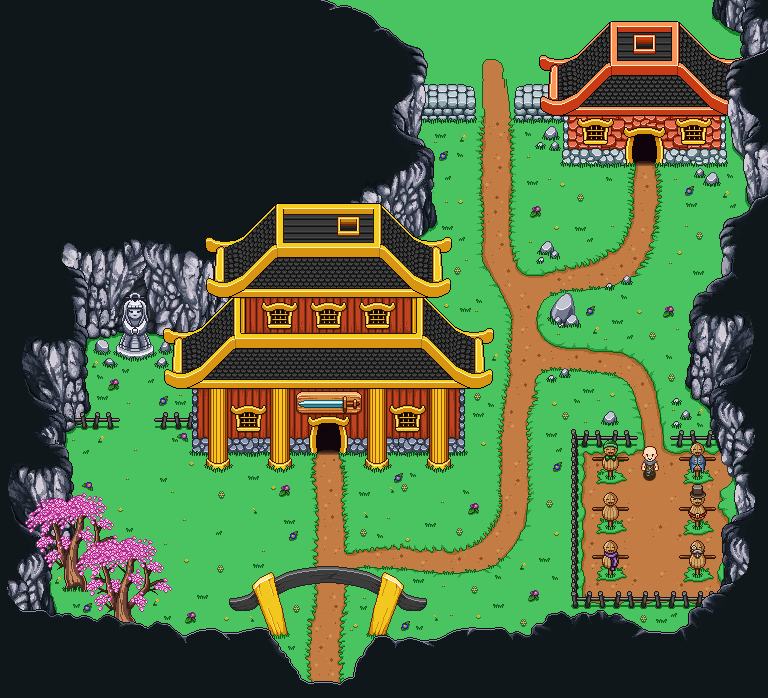 So, in order to get things going with the Time-Travel Temple/Village I've spent some time gathering photos to serve as inspiration for the area graphics-wise. For some of you, particularly those who work with game design, this process will probably be well known to you. 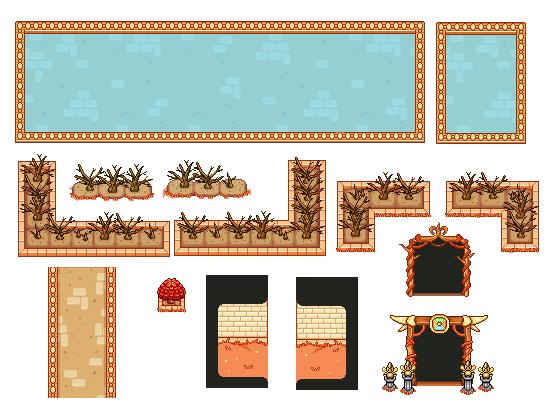 So when I actually start sketching ideas for the game's props, I can browse this folder/these moodboards and stay on track in terms of what aesthetics would be associated with this particular area. 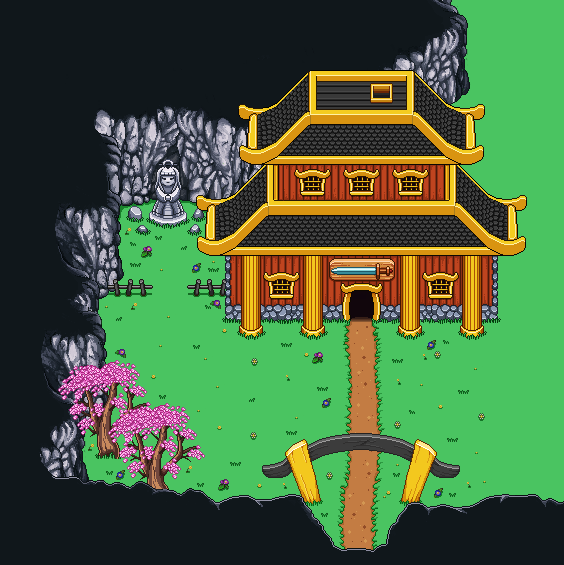 Since the village will be inside or very close to the mountain, we wanted to incorporate stone in some of the architecture. 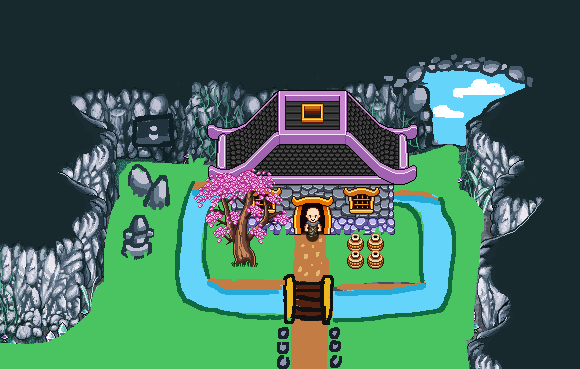 This will partly serve as a lore-thing (it makes sense that they would use stone since they live in an area surrounded by rocks), but also as a way of telling how much of a house will be left in the present, ruined version of the town. A house mainly built from stone would be pretty much intact, albeit worn down, while only the foundation might be left of the houses where more wood is used. At least, that's some of the things we're considering at this point! Last week, Fred got back after spending 2 weeks in Germany. As usual, we celebrated his return by going to our favorite fast-food restaurant, armed with our sketching books and multiple discussion topics! 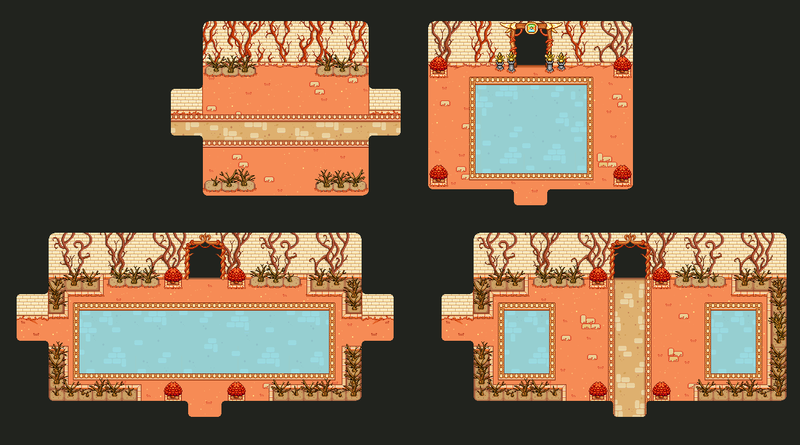 One of the most important things we discussed was the next temple, because after just one more area has been implemented (Mt: Bloom), it's time to start working on it. 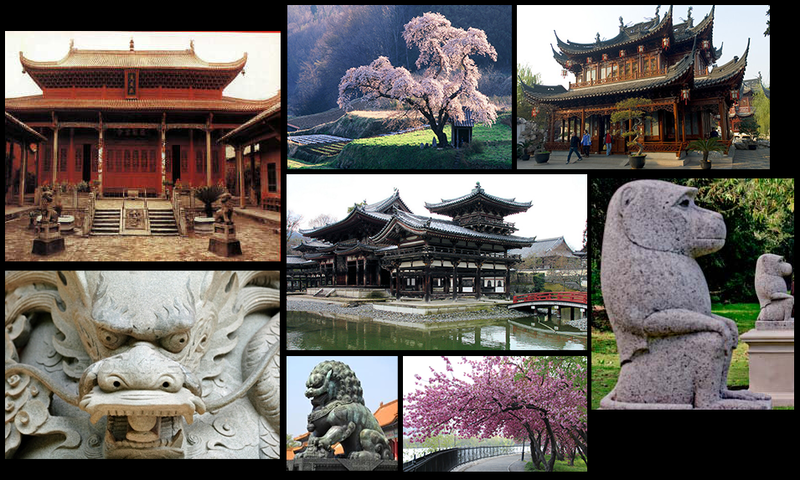 I may have mentioned some ideas here before: the theme of the temple will be time travelling, and the setting will be reminiscent of ancient asia. 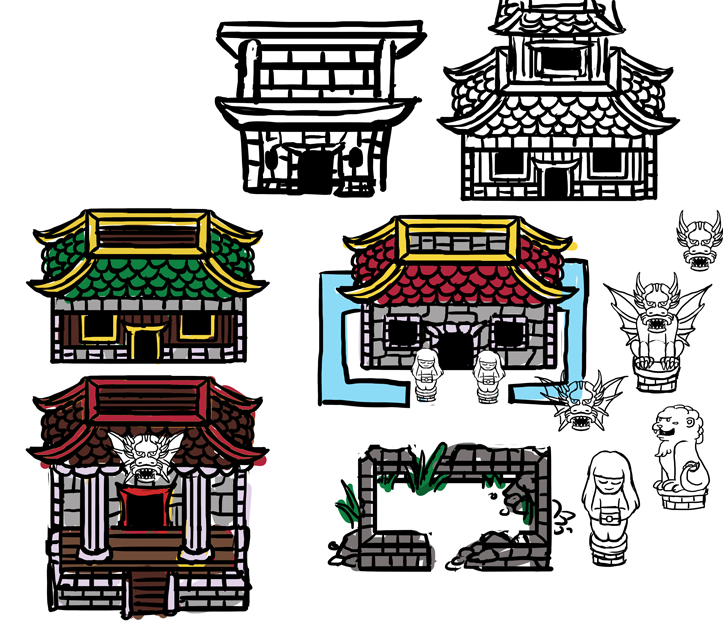 The "temple" will really be a village/town of sorts. 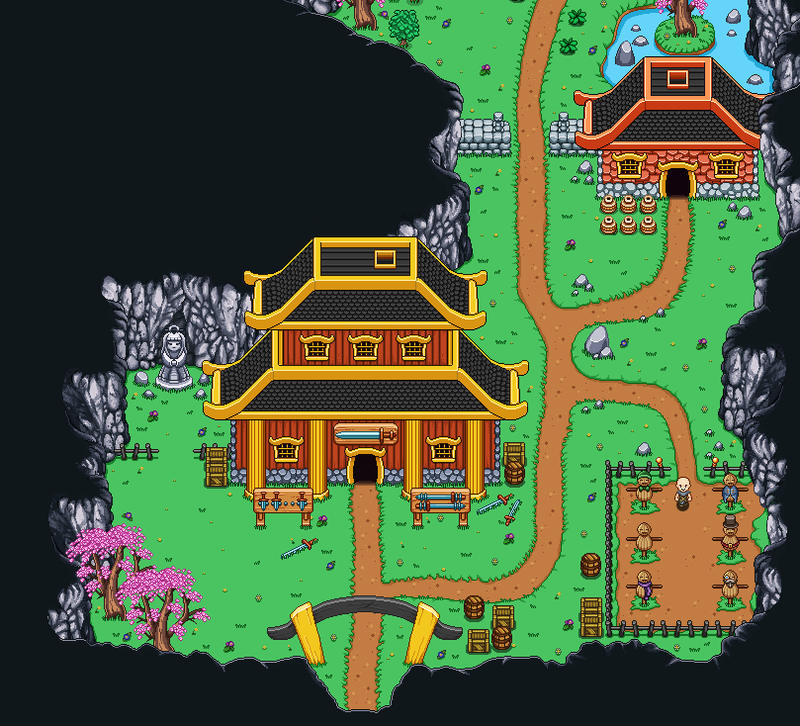 When you enter it in the present, it'll all be in ruins, but as you travel back in time with the help of certain 'rifts' across the map, you'll be able to explore the town in its glory days as well. The puzzles will involve unlocking new parts of the town/new rooms etc by altering things in the past. For instance, moving a pillar back in time may unlock a path that the pillar blocked in the present. When it comes to enemies, you'll probably mostly be fighting the 'basic enemies' in the present, while the past will involve talking to people, solving quests/puzzles and exploring the story rather than grinding enemies. With that said, there may be special storyline battles taking place in the past, so it won't be entirely without fighting. Graphics wise, we want there to be a pretty big difference between the past and the present. In the past the town will be vibrant and alive, in the present everything will be in ruins, broken and overgrown. 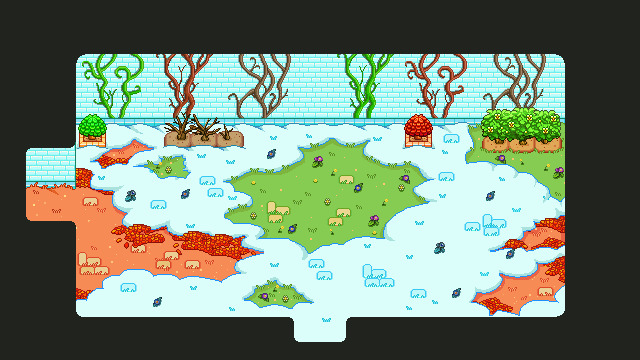 This means I need to make two unique versions of every single part of this area, which obviously will be a huuge workload for me (although it'll definitely be a fun one)! I'm going to start creating sketches & mockup-props for this area as soon as possible in order to get a feel for what it could look like. 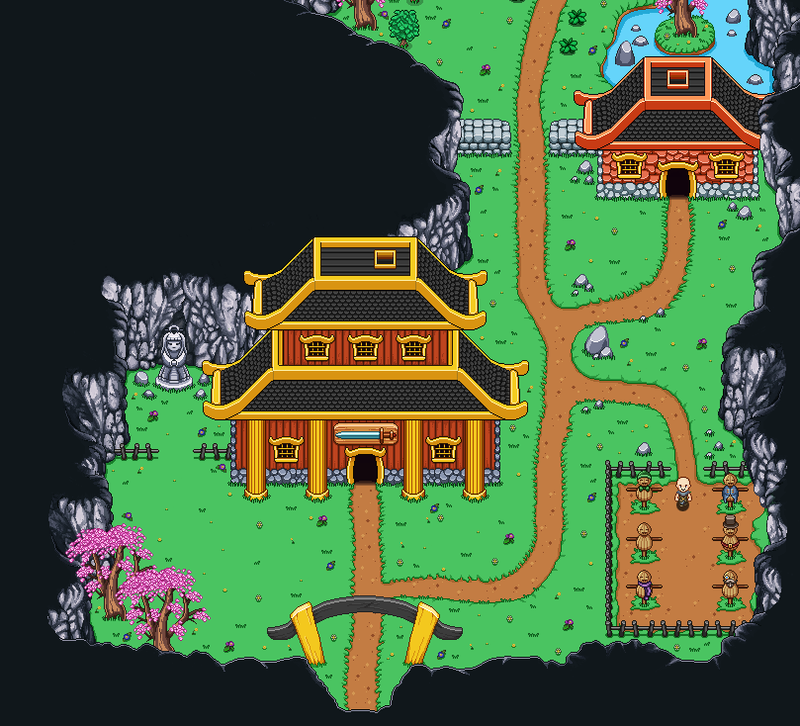 I won't be able to start working on it properly (as in creating the actual area) until we've decided on the layout of the village and worked out all the puzzles, though, so there's still a lot of planning to be made! One of the things we're working on right now is finishing up the skills. We still haven't implemented the final charges, which would be the most epic version of each spell, and the one that deals the most damage. So, I thought I'd just throw this out here: what would you like to see? What would your idea of an ultimate version of any of the spells be? Our guidelines right now is to keep the spells doing what they currently do, but in a more epic way - meaning a single target spell is still a single target spell, and an aoe crowd control ability remains dealing aoe damage and can still be used for crowd control. For example, our idea for the fireball is for it to be bigger and more phoenix-like in its form graphically, quickly followed by a set of smaller fire balls. This means that it's still, in its essence, a similar long-range single target spell, but it looks way cooler, deals more damage and has some additional functionality (it's now more than one ball). I know, I know, these are all also very obvious, aren't they?! I really just wanted something braindead to do while being groggy from the lack of sleep (I made these too while being sleepless from the toothache) :) There will be plenty of more difficult/tricky ones, I promise! Basically it's just backgrounds from places already available in Story Mode, edited a bit to fit in Arcade Mode instead! 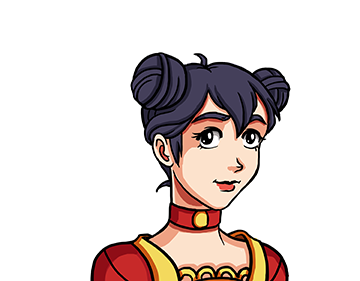 We often get the question why we are trying to make Secrets of Grindea with only three people, most likely from people that have become frustrated with how slow our progress is. In this post I'd like to address the reasons for why we haven't tried to expand our team, and why we most likely won't ever do so. This might sound strange, but in many ways bringing in more people wouldn't necessarily make working on the game faster. The biggest problems would probably be in the programming department, where each piece of code needs to work with everything else, but it'd definitely be an issue for the graphic artists as well. At the moment we're also pretty much synced (I'm a bit ahead in general, but it takes Teddy less time to implement my backgrounds than it takes me to make them, so that's the way it should be). 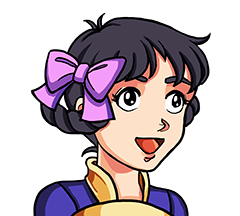 That means that if we were to add another programmer, he'd quickly run out of work, and if we'd add another artist, there's no way Teddy would work fast enough to implement everything. So, we would have to add at least 2 people to help with graphics and programming, and then we'd have to spend incredible amounts of time first formalizing every standard we use, then inform the newcomers about them, including everything from the way Teddy codes to the sizes of common sprites. The bigger the group, the bigger the problems, at least from my experience when it comes to small studios. In large companies, it makes sense to have the "idea guy" that tells a set of graphic artist and programmers (that each have a set of tasks they specialize in) what they should do realize his ideas. We don't work like that. We don't feel like one guy should be in charge of the project: we all want to be part of it and leave our mark on the game. Thankfully, we've been friends for a long time and we all share similar ideas, so it's easy for us to work together with what you could call 'democratic game design', where we come up with ideas and work them out together as a team. If we were to add people, however, I'm sure they would want the same benefits. Of course, they didn't sign up to be part of EA Project #34, but wanted to be able to have more influence in a smaller group. Getting into such a tight group as ours is, especially halfway through the project, would be hard, though. The three of us already share a common lingo and countless ideas of what's to come next for the game. While I'd like to think we'd be open to new input, experience tells me it would set us up for disaster where the newcomer(s) could feel left out or s/he'd end up with the grunt work, finishing tasks we give them with less pay than if they were to do the same thing for a bigger company. And of course, there's this "evil" reason. Money. The money we've gotten from pre-orders will last us about one year from now with minimum wage. We're not even sure the game will be done at that point, and there's no guarantee it'll sell much more than it already has. Adding two more people to the group means we'd have a bit more than 6~ months to complete the game, but the chance of doubling our output would be slim (see reason #1). I'm often astounded when I see teams of 10-20 people start up companies with hopes of releasing indie games. How do they survive!? I'm guessing some of them don't get paid, or get very little compensation, or they have side jobs of some sort. The cold truth is that if we were to be more than three people, we probably wouldn't have enough money to finish the game without taking part-time jobs and reducing the hours we put into it by a lot (and you do the math given our current speed: it would take forever for us to finish)! 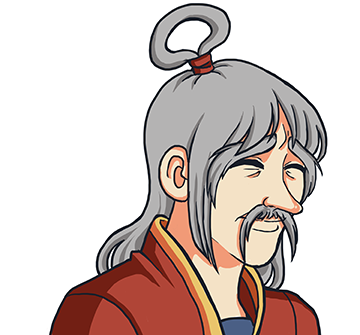 I know a lot of you guys are impatient and want the game to be released ASAP, and I wish we'd be able to finish it sooner too (but, we'd rather release a good game, than a rushed, buggy and half-finished one). And at this point, the fastest way of finishing things is, ironically, for the three of us to continue on! To all of you who made it this far into the post, thank you so much for believing in us! You guys are the ones that have made this possible by supporting us through pre-orders or simply leaving positive feedback to keep us going :) You are the best! When it comes to the decorations, there's a few things that are a bit more complicated than simple color swapping. For instance, the summer bushes need leaves, while the water during winter has to be frozen. In the end, having three seasons brings you even more opportunities for variations. When you enter a room, it'll almost always be a random season. 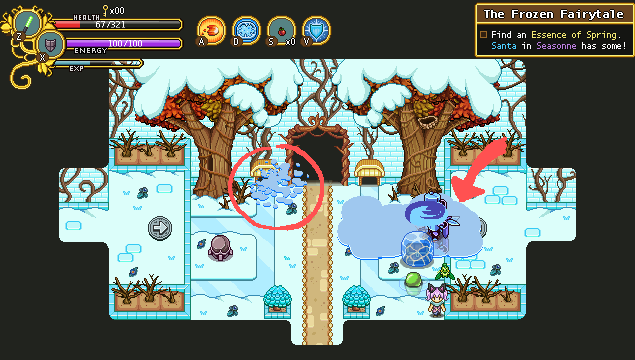 Sometimes it'll have random enemies and no way of changing season, sometimes there will be season orbs for you to use, and sometimes the enemies might appear in waves before you can leave the room! 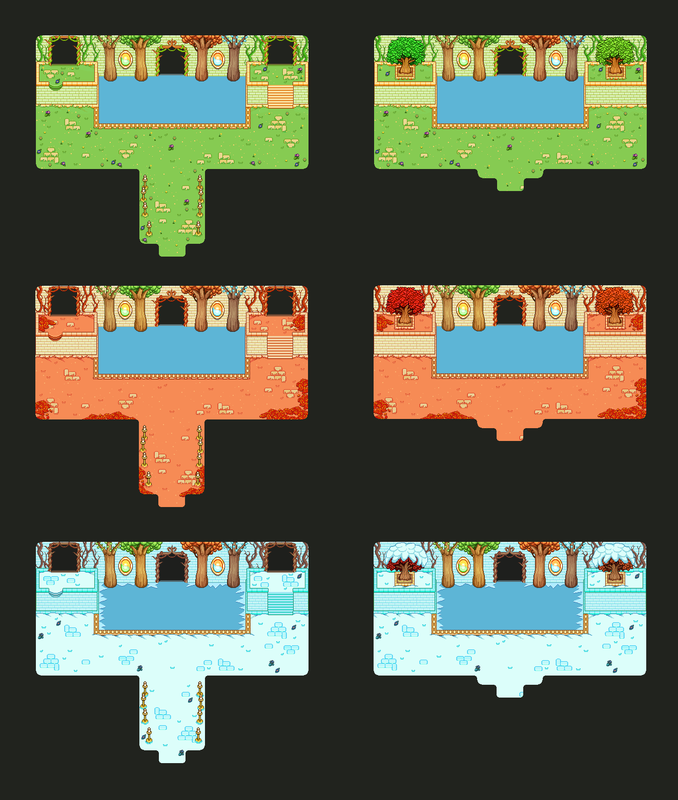 Hope you'll enjoy these floors (if you're able to reach them >:3)! Okay, it's time to get back to business. 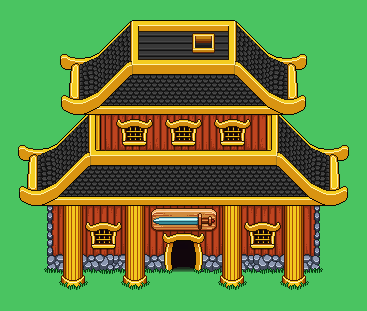 I mentioned in the last weekly recap that I was working on rooms for the Temple of Season-floors for Arcade Mode, and today you can start seeing the results. 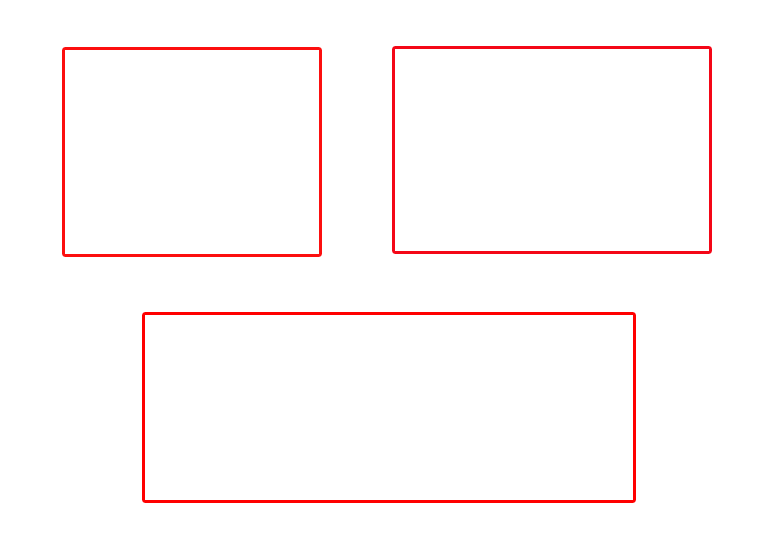 To begin with, we settled on three different sizes for the rooms. 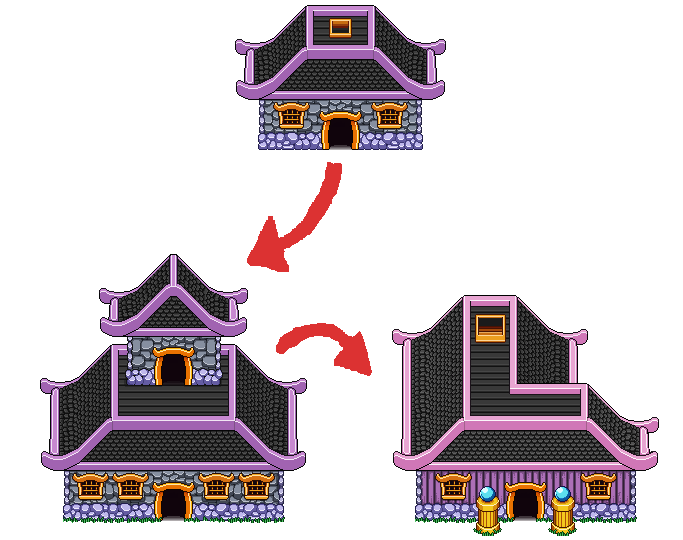 We selected these sizes based on rooms from the temple in Story Mode but also on Arcade Mode floors we thought were of a good size. 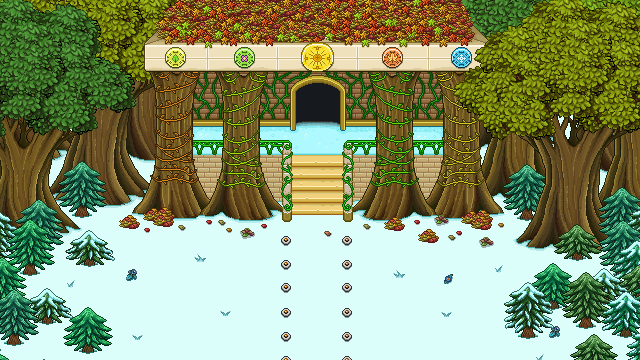 I then start creating the very basics for each room in one season (in this case, autumn). I don't create any doors at this point: they will be added on top of everything later, since not all rooms will have doors leading in every direction. 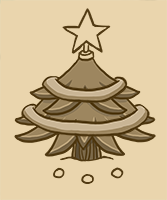 Once this is done I start focusing on creating suitable decorations. We don't want anything in the middle of the rooms that could disturb your fighting, so the decorations have to be things that can be placed alongside the walls. The exception is of course water and stuff you can simply run over. "Time Travel Town" Zone 01 - Sketching! Skills - What would YOU like to see?